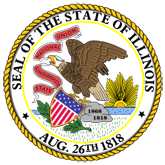 The Illinois Motor Vehicle Theft Prevention Council collects and administers special trust funds and makes grants to those who implement programs to combat or prevent vehicle theft. The Council adopts a statewide motor vehicle theft prevention strategy each year derived from public comment, expert opinion, data analyses and the experiences of funded programs. The strategy describes the nature and extent of the vehicle theft problem in Illinois, the areas of the State where the problem is greatest, particular problems that the Council should focus on and the types of programs it should support. In the 2004-2007 strategy, the Council continues to support law enforcement infrastructure programs a key to long-range planning. 1. 2004-2007 Illinois Motor Vehicle Theft Prevention Council Strategy (20070830152803_04-07MVStrategy.pdf).